When the first long batch of Dr. Who ran, I was still in Germany and, somehow, I never encountered it. I might have known about it, and even though I have always been a science fiction buff, it never entered my life. 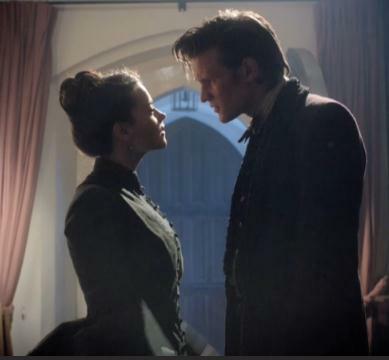 But since the revival in March 2006 with Christopher Eccleston as the new Doctor and Billie Piper as the new companion, Rose, I have been hooked and not missed a single episode. Always stand up for what is right-no matter the odds. Never be afraid to act ridiculous. Sometimes, winning is no fun at all. 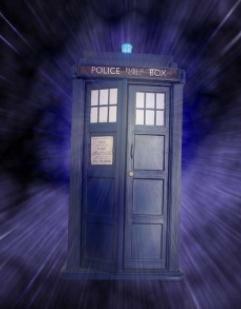 Time is not a straight line – its all wibbly-wobbly. A longer life isn’t always a better one. Everybody dies -this is unavoidable. Time is not the boss of you. Be proud of your beliefs – and your fashion sense. Not all victories are about saving the universe. The greatest weapon is your mind. Every species and individual has the right to live – even if they are an insane genocidal madman. The most ordinary person can change the world. Nothing’s impossible – just highly unlikely. When it comes to living, it’s not the time that matters, it’s the person. The most amazing things in life come in small packages. The good things in life don’t always make up for the bad, but the bad doesn’t always spoil the good. Knowledge can make you a powerful person. Your life may seem boring, but remember, not everybody can have a normal life like yours. Being alone can be good at times – but sometimes, you need someone. Love can span the entire length of time and across the universe … and even across realities. It doesn’t matter what you look like – you can be a hero, a fantastic person and eternally cool. Arrogance and self-righteousness will usually lead to a fall from grace. Sometimes there isn’t a baddie – just people trying to do what they think is right. Talking nonsense can conceal important facts. Improvisation can save your life. Never ignore a coincidence … unless you’re busy. There’s no point in being grown up if you can’t act childish every once in a while. The most simple things can fuel and terrify your imagination. Faith is a great thing to have, but it can sometimes kill you. When it’s time to go – remember the best. The universe is vast and complicated and really very, very beautiful. 35. Bow ties are cool! This entry was posted in Culture, Thoughts and tagged across the universe, billie piper, christopher eccleston, fashion sense, incarnations, new doctor, relative dimension, science fiction, tardis, time travel on June 26, 2012 by Merlin Silk.